Cottage cheese skin, dimpled fat and fat ripples are all nicknames for one thing: cellulite. Cellulite is every woman’s worst nightmare. Imagine your smooth, toned legs are replaced with rippled, dimpled, cottage cheese chunks everywhere from your abdomen to your thighs. While the majority of women see cellulite on their legs and thighs, many women also see cellulite accumulate in other areas like the hips, buttocks, arms and stomach. Virtually anywhere there is fat, there is also a chance that cellulite may be on its way shortly thereafter. 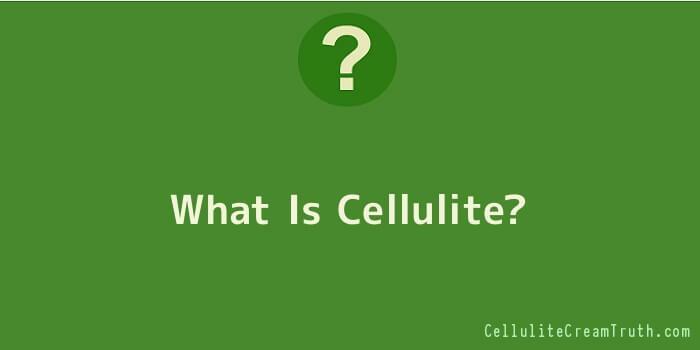 Cellulite is an accumulation of fat on the body. Adipose fat cells are the cells that store fat in the body. When adipose fat cells become filled and swollen with fat, these cells are then pressed or forced against the connective tissue which is responsible for the dimpled appearance. Overloaded adipose cells are the cause and cellulite is the effect of this process. Cellulite does not pose any particular health problems parse; however, cellulite is not easy on the eye. Women often strive to perfect their bodies and cellulite displays anything but perfection. Nothing is more attractive than smooth, toned skin. Cellulite is exactly the opposite, replacing smooth skin with dimpled areas of subcutaneous fat. Everyone is susceptible to cellulite; however, the vast majority of cellulite sufferers are women. There is not a specific age that women can acquire cellulite. Cellulite can occur in young girls as early as adolescence. Nonetheless, collagen production, skin elasticity, and changes in metabolism are common among older women and are influencing factors in cellulite’s formation. Other factors in cellulite accumulation are attributable to genetics and hereditary markers. If your mother, for example, sufferers from cellulite then you are highly likely to acquire cellulite as well. While it is possible for men to acquire cellulite like their female counterparts, it is simply less likely for a man to acquire cellulite. This is due to the genetic makeup of men and women in terms of muscle to fat ratio. Hormones like estrogens and testosterone are also responsible for fat storage differences in men and women. In men, there is a deficit of estrogens, and instead, men are comprised of more testosterone than women, thus decreasing the amount of fat and increasing the amount of muscle. The hallmark of cellulite is bumpy or dimpled skin, which is commonly compared to cottage cheese in appearance. Cellulite ranges in severity. For some people, the dimpling may only appear when they pinch their skins. In severe cases, the skin may look bumpy with peaks and valleys in various areas. The thighs, buttocks, and lower abdomen are the most common places where cellulite forms. However, some women have reported having cellulite in their breasts and upper arms. Cellulite is not a serious medical condition, but it can cause distress and discomfort to the person that has it, especially in image-conscious societies. There are a few ways cellulite can be treated. The most common way is through weight loss and exercise. While losing weight and strengthening the muscles in the stomach, buttocks, and legs can improve the appearance of skin, the cellulite won’t completely go away. Other options for treating cellulite include using cellulite creams, lasers, radiofrequency systems, and liposuction. Each method comes with its own set of benefits and disadvantages, all of which should be carefully considered before undergoing any medical procedure to treat cellulite. For a truly effective method of getting rid of cellulite without troubling side effects, it is best to use all-natural cellulite creams. We sifted through the hundreds of products on the market and found a few products that were effective at minimizing or eliminating the problem. Cellulite removal products are a profitable market as there are thousands of creams and dietary supplements that promise to eliminate the appearance of cellulite. However, since cellulite is fat, topical creams and even dietary supplements are simply not effective enough to remove cellulite. At best, topical cellulite products and dietary supplements can only provide a slight shrinkage in adipose fat tissue. Liposuction and mesotherapy may reduce the appearance of cellulite, but many doctors suggest that these mechanisms only provide slight or temporary cellulite reduction. Moreover, depending on your body composition, cellulite can return after liposuction or mesotherapy is complete. Procedures like liposuction, mesotherapy and anti-cellulite products like topical creams and dietary supplements are good aids to reduce cellulite. However, in order to remove cellulite and prevent it from forming, it’s best to maintain proper diet and a good exercise regimen to reduce the body’s overall fat content.